Enjoy assembling this beautiful scene of bottlenose dolphins at play in the light of a full moon. 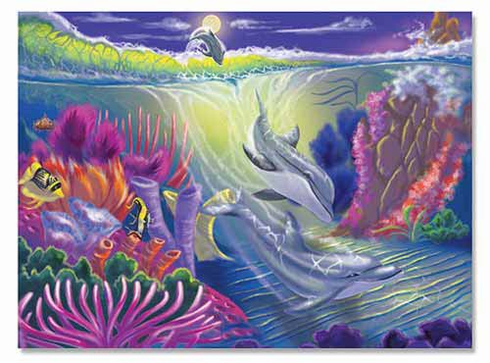 The thick, durable pieces of this 100-piece puzzle when assembled, feature a detailed underwater scene. This best quality cardboard jigsaw puzzle represents a great value! Bright, sturdy packaging will withstand many uses.